Marvelously complex and full-bodied, its bouquet is both fresh and lively, with light floral notes. On the palate, Brut Gold has a sumptuous, racy fruit character perfectly integrated with the wine’s subtle brioche accents. 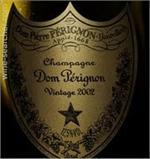 "The bouquet spirals through a light-filled, floral softness to the gritty minerality that epitomises Dom Perignon, evocative of candied fruit, plant life and exquisite camphor leaf freshness, and finally plunges into darkness, spices and licorice root. Robert Parker’s Wine Advocate (WA): 97 "The 2006 Brut Cristal has put on quite a bit of weight since I first tasted it earlier this year. 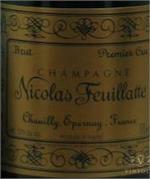 It is a powerful, structured Cristal layered with considerable fruit. Steven Tanzer rating 88. Medium pink with a fine bead. Very fragrant aromas of fresh strawberry and flowers, along with a hint of cake icing. 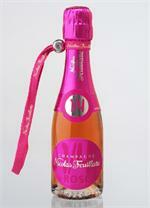 A soft, round rose with supple red berry and orange flavors, gentle acid lift and a velvety finish. A touch creamy in aroma, giving way to peach and grapefruit notes. On the lighter side, with floral and herbal elements peeking through. Appealing. Wine Spectator rating 88. Pale and golden in colour with an abundance of elegant bubbles brings forth floral fruits with a subtle predominance of pear, apple,almonds and hazelnuts. On the palate it is fresh on the opening, smooth, pleasant and balanced. This latest creation from the historical Maison Ruinart, a non-vintage Blanc de Blancs made from Chardonnay grapes is sensational. 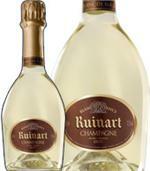 Presented in a bottle that is the exact replica of the 18th century Ruinart champagne bottle. Wine Spectator rating of 91 points. 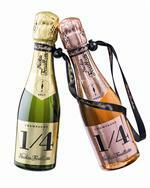 This is elegant and harmonious, offering vanilla, graphite and toast aromas and flavors. The texture is refined, and this builds to a long, coffee- and pastry-tinged finish.